The air is hot, the drinks are cold, and backyard living is at its prime. Whether you’re entertaining or simply enjoying some peace and quiet, there is nothing more enjoyable than an outdoor space that is well designed. 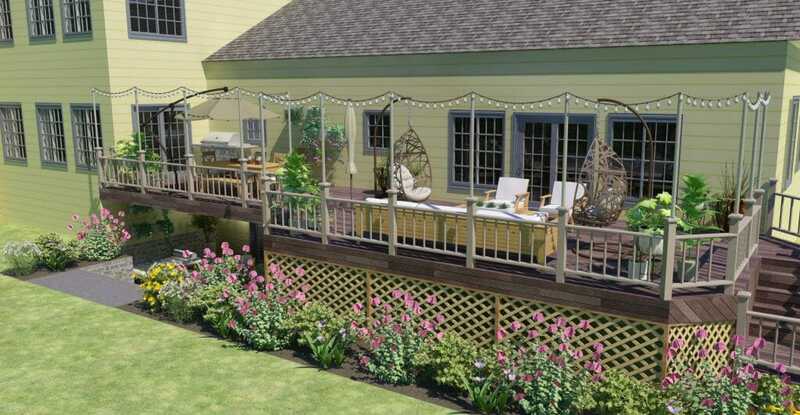 Now that your porch design is on point, don’t forget about the outdoor area in the back of the house! 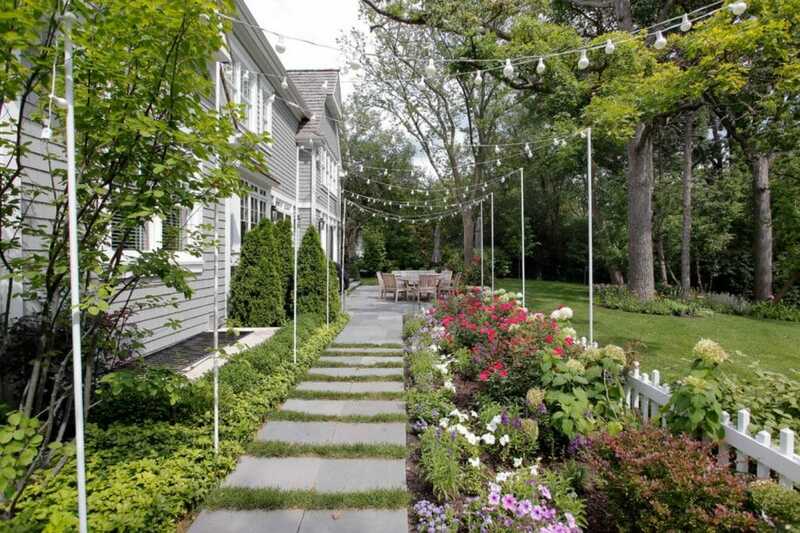 Take a look at our top backyard lighting trends of this summer and get ready to give your yard an instant face lift. No more missing a step or stubbing your toes, this clever backyard lighting trend highlights all those areas that are often forgot about. The more horizontal lines that are lit, the more interesting your backyard becomes. Don’t stop at only lighting stairs, try lighting built in seating areas, or planters to add to the wow factor. 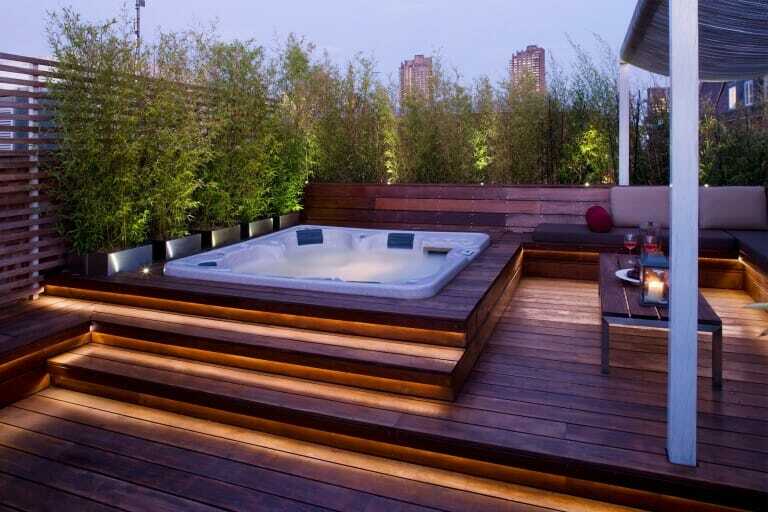 The minimalist approach to this backyard lighting trend helps it blend into any design style. 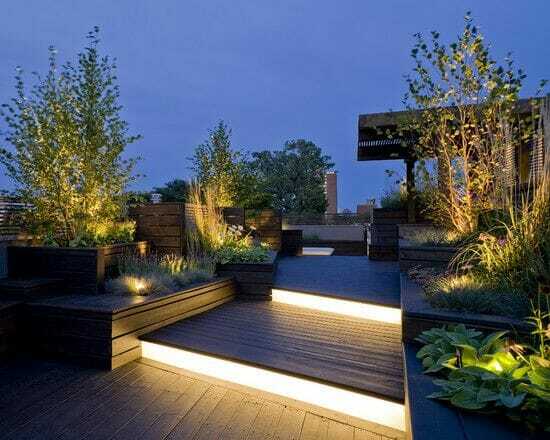 Practical and aesthetically pleasing this outdoor lighting trend will be a popular choice for years to come. The never fail, instant ambiance option for a beautifully lit backyard. Café lighting is an extremely hot trend in the interior design industry right now ranging from commercial to residential. 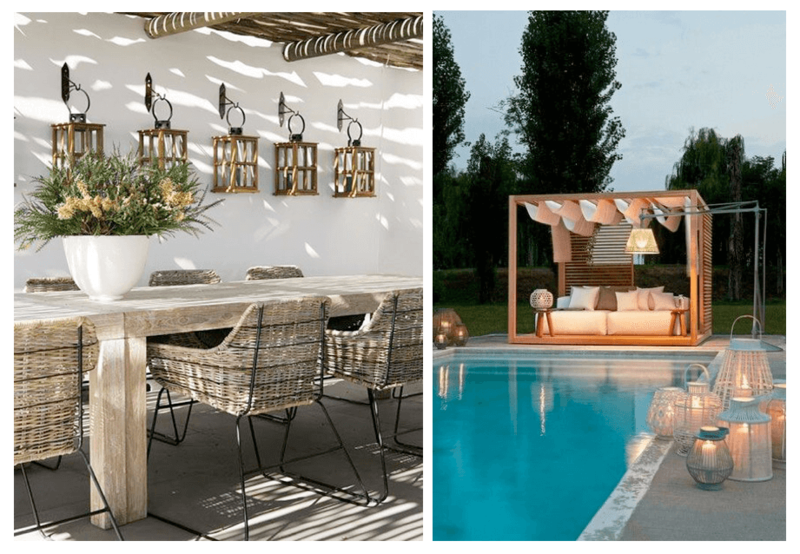 3D backyard design by Decorilla online interior designer, Brittany S.
A perk of the café light trend? The endless amounts of patterns that can be created to make your own statement. Use them as pathway lights, lighting over a dining table, or maybe an accent over the fire pit. The options are endless! 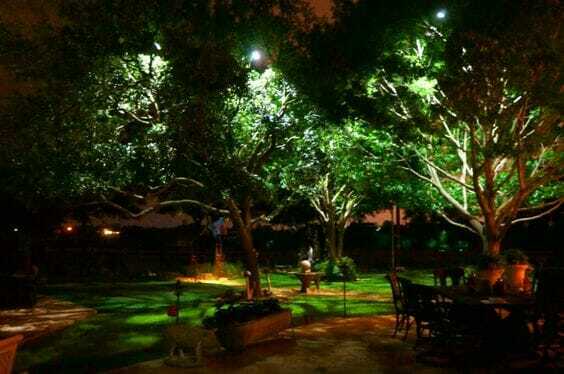 The majority of yards have a tree or two and these make the perfect canvas for backyard lighting. 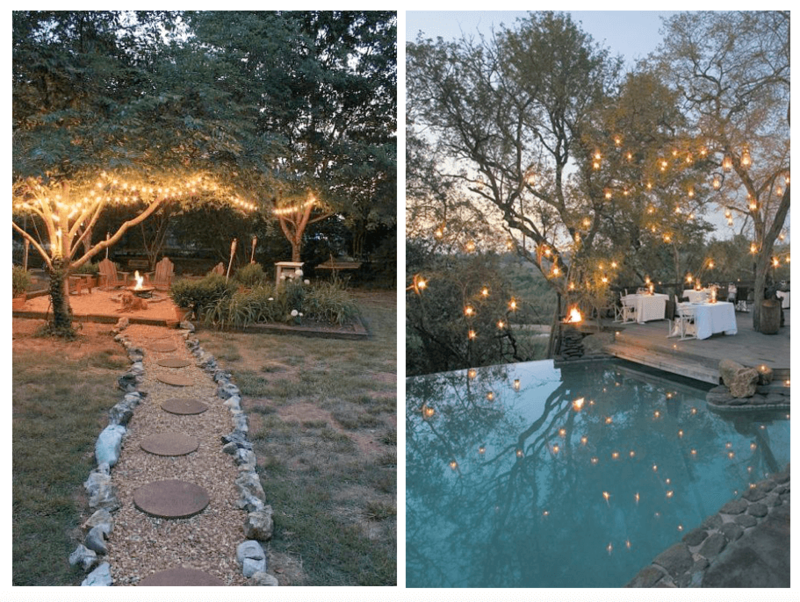 This backyard lighting trend is timeless and not going anywhere anytime soon. String some lights in the canopy of the tree to create a more cozy space or place the lights scattered out in the trees to give off a more romantic vibe. Regardless of the placement, when trees are glowing you instantly feel welcomed with open arms. 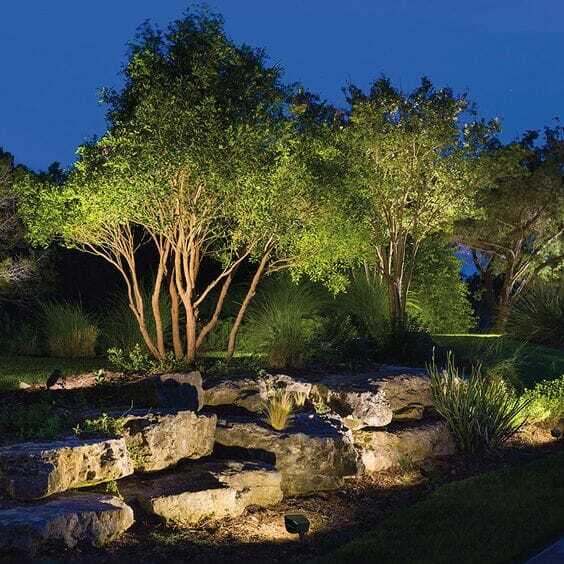 Moonlighting is a lighting trend we are starting to see more and more when it comes to landscape design. It’s a great affordable way to make a big impact. Moonlighting created gentle pools of light within the trees that trickle down to the ground. There are multiple ways this can be done. Typically we see moonlighting done with a down light place in the top of the tree. A great way to compliment moonlighting is to also up light a few trees in the backyard space. This backyard lighting trend is a great way to subtly bring interest to your yard while letting nature do all the talking. 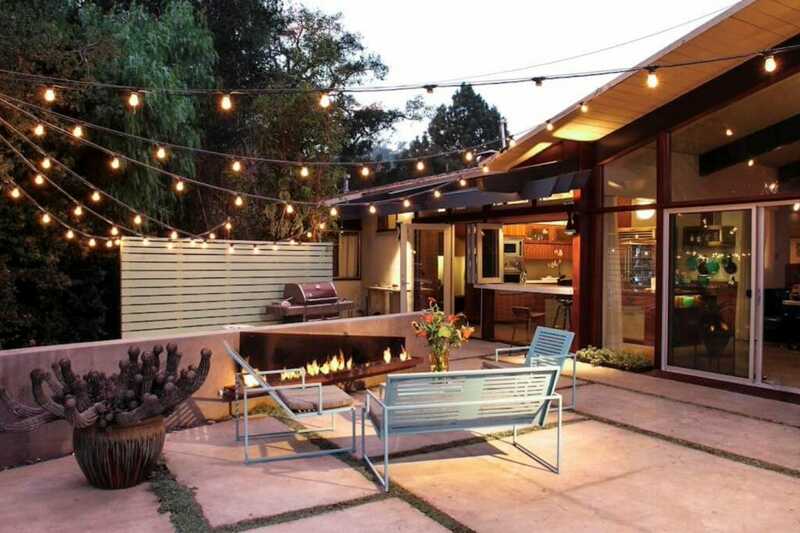 This backyard lighting trend can blend into any design style you might have. 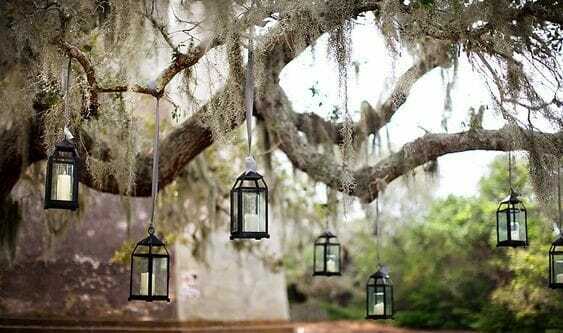 Lanterns can be placed anywhere in your backyard design. Small accents such as this are a great way to subtly add lighting to your backyard space. When not lit, they add a great decorative touch. To create an impact add them in sets of 3 scattered throughout the backyard space. Guess what? You can even hang them from the trees! Nature is good for the soul. I’m pretty sure that’s a scientific fact! Why not have a beautifully designed space in your backyard to enjoy! 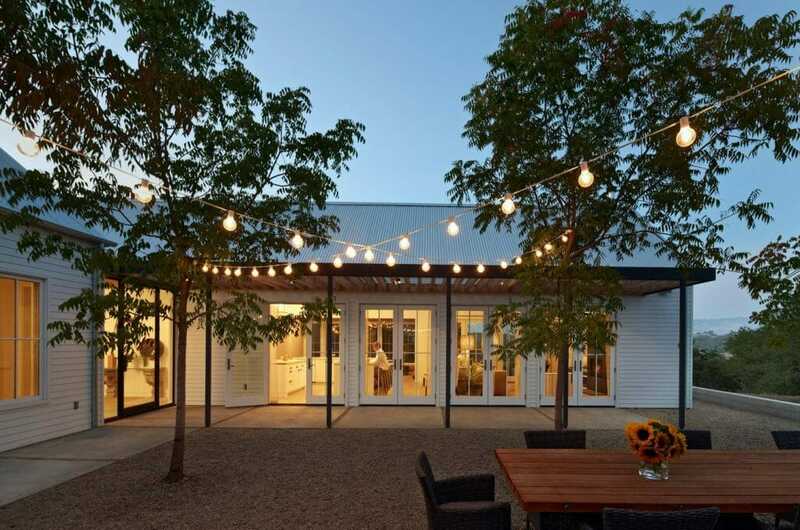 Be sure to implement these five backyard lighting trends into your outdoor space to ensure your taking full advantage of the atmosphere your backyard is longing for. Need some help figuring out what exactly to do to your outdoor space? Let us help you get your backyard design started today!